I remember when my eldest was two and grandpa bought him a train table. He spent hours and hours building tracks and going around the table in circles. His favorite train was James (from Thomas and Friends). For all of you moms and dads who have a little one who is a budding train enthusiast, you are in luck. 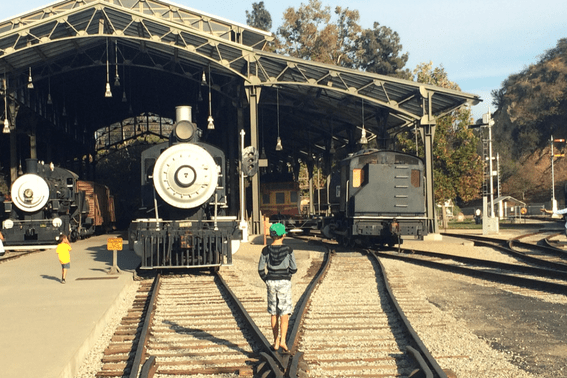 There are so many places around the US that you can take your child on small kiddie train rides as well as the full-blown real deal steam engine. The McCormick-Stillman Railroad Park gets positive reviews as well. Trekaroo reviewer Momto3 says she “loves the inexpensive thrill of the train ride and carousel”. 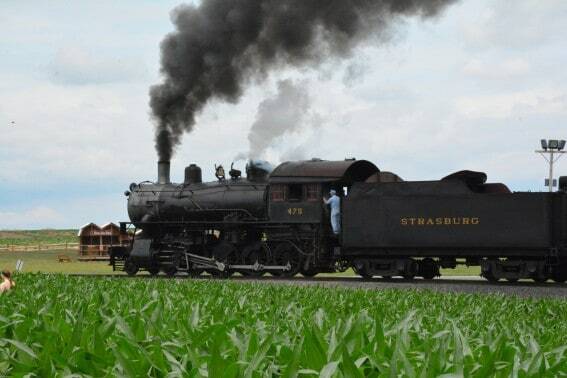 Take a train on the Strasburg Railroad in Lancaster County through the beautiful Amish country scenery. Madame Queen, in Amarillo, Texas, is a monstrous train engine. The engine was gifted to the city and moved to its current location in 2006. The move was so colossal that it was featured on the History Channel’s Modern Marvels. Texas is a state that has depended heavily on railroads. Here a few places that you can take your kids for a train ride. From Thomas the train to old narrow gauge railways. California has many places kids and adults who love trains will be in heaven. Here’s a list. Travel Town located in Griffith Park in Los Angeles is a FREE train attraction that will excite any train enthusiast. Train museums in Minnesota include model railroads and real railroads for train lovers big and small. Choo choo! Do you have a kid (or adult!) in your family that loves all things trains? Here is a list of some great railroad activities in Western Washington! Where do you like to take your train enthusiast? Leave a review at www.trekaroo.com so other parents can check it out too!